Our home and its architecture, fixtures, furnishing and its interior design is an epitome of us. These elements represents our personalities, characters and ambitions. Designing our own home requires time, effort and careful planning. Just like choosing our clothes, wardrobe and what to wear for an occasion. There's a lot of things that we to consider. Choosing what's right, what's hot, what's not sometimes requires professional help. Couturiers or Designers is to clothes; and Architects and/or Interior Designers is to our living or working spaces. Interior Design has equal importance and significance in the fashion industry and design empire. As it is obvious that well renowned designers and fashion houses are venturing not only into cosmetics and fragrances but now investing to Furnitures and home interiors. Tickling not only our senses but our pockets or bank accounts as well. Giorgio Armani came out with Casa Armani, Donna Karan - Home, Ralph Lauren with Home/Paint to name a few. But what if we don't have the resources and time to plan all of these? That's the time we need professional help (not a shrink), Help from Interior Designers and Decorators. Interior Designers are always in touch with the hottest trends and ins and outs of the business. 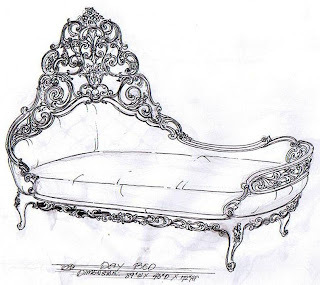 They are the people who are always in contact with the country's Furniture designers and manufacturers. They know where to get everything that you need and fancy. To get inspired designing your home and if your planning building your own home or remodeling you existing crib. Drop by Paseo Center. 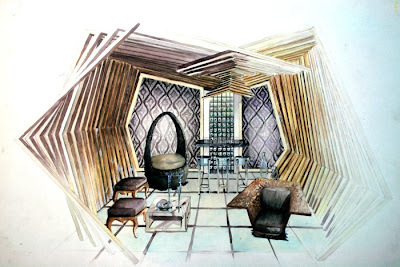 To check out the latest exhibit of the students of Philippine School of Interior Design. The Philippine School of Interior Design (PSID) Advanced Class of 2007 will mount its graduation exhibit dubbed as “Forty, Filipino, and Fabulous” (“F3”) on Sept. 29-Oct. 31, at the Paseo Center, Paseo de Roxas cor. Sedeno st., Salcedo Village, Makati City. Mounted in cooperation with the Chamber of Furniture Industries of the Philippines (CFIP), ‘’F3’’ will celebrate PSID’s 40th anniversary with an exhibit showcasing Philippine furniture integrated into masterfully-designed and executed interior spaces. ‘’We are celebrating the union of CFIP and PSID with a breakthrough interior design exhibit. 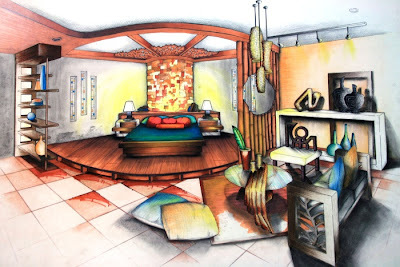 All 19 booths are carefully planned, researched and executed to promote the ingenuity and creativity of Filipino-designed furniture pieces in fabulous interior settings, and to emphasize the importance of furniture as an indispensable element in creating interiors that work,’’ explains PSID professor Jie Pambid. PSID is the country’s premiere institution in interior design education, established in 1967 by Engr. Augustine Cancio and Herminia Cancio-Layug, with the curriculum conceptualized by interior designer Edith Oliveros, Arch. Lor Calma and National Artist Napoleon Abueva. Since then, PSID has produced a number of successful practitioners and has been consistent in topping the local board examinations for interior design. PSID offers Basic and Advanced Interior design courses to around 350-420 students, with a pool of 25-32 professors. The Advanced Course is marked by a major exhibit that serves as the thesis of the graduating batch. hello and congrats to the psid class 2007, I read in an article about your exhibition and we would be interested to see, but apparently we are here based in Beijing, China. We are a Filipino interior design team involved in a hotel project here. We would like to establish some sort of project base working relation with the best and qualified interior designers. so if interested do contact us thru email qiaore@gmail.com.